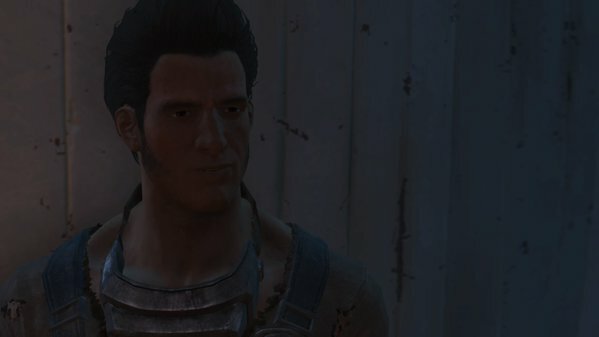 In order to get this quest rolling you need to find Sturges. He’s in the house across from your own in Sanctuary. Talk to him and agree to help and he’ll steer you towards your first task: making some beds for the folks hereabouts. This will lead you to a major component of Fallout: constructing Sanctuary. 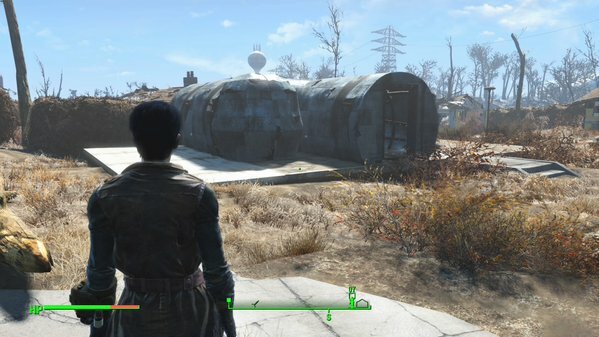 This may not be readily evident, but you can also use Workshop mode to clean up Sanctuary. Almost everything in Sanctuary can be Scrapped in this mode and turned into additional resources. For example, if you’re looking for Steel, you can Scrap cars, street signs, mail boxes, even entire houses that have fallen over. Don’t neglect Scrapping, as it will save you sooooo much time. Bear in mind that you can only Scrap useless items, meaning that structures which you can actually enter are un-Scrappable. In order to complete this quest you need to outfit Sanctuary with a variety of different items, and, as noted above, you need to start with beds. We’ll go through ‘em one step at a time. once you've started to repopulate Sanctuary. The first and easiest. There are a few different kinds of beds, but the standard variety require four pieces of Steel and five pieces of Cloth. Steel is most often found by harvesting tools - Hammers, Wrenches, and so forth - though you can most easily find it by Scrapping cars and mailboxes in Sanctuary. Cloth can be gathered from clothing items. The folks of Sanctuary can drink water from the nearby stream, but that’s… unwise. As you may have discovered by now. You can get them water from Water Pumps, via the Resources menu. They’ll cost you 1 Concrete, 4 Steel, and 1 Gear, all of which you can get by trashing items around Sanctuary. Two Pumps will do it. Note that you can only put Water Pumps on dirt, which can usually be found beside house plots. No surprise. Sturges wants you to plant stuff. Food items are also found under Resources, though unless you’ve already been exploring you might not have any yet. (Possibly a Tato. I picked one up somewhere.) If not, there are Melons out back of the workshop house that you can grab and replant. If you head almost directly south of Sanctuary you’ll also find a small Melon patch near a house that’s built into the bottom of an electrical tower. You need five Food to fulfill these requirements, which will probably mean ten patches of foodstuffs (though that depends on what you use). Once you’ve completed this last requirement, speak to Sturges to end the mission. This is just the beginning of outfitting Sanctuary, though, and there’s lots more you can do to make the town into a friendly stronghold… or you can ignore it, if you want. Up to you.